Meriden Grange No. 29 of 540 Broad Street, Meriden, will hold a Family Style Ham & Bean Supper on Saturday, October 13th, 2018 from 5:00 to 6:30 PM. This is open to the public with the admission price of $9.00 for adults and $4.00 for children. Take-outs will be available. The Grange will be serving ham, baked beans, Cindy’s Cole Slaw, homemade corn bread, and dessert. For more than 125 years, Meriden Grange has been active in the local community, holding numerous programs and dinners and raising money for local organizations in the past several years like the Meriden Soup Kitchen and Meriden Humane Society, as well as hosting their popular annual fair each September. 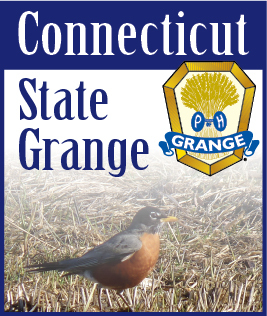 For more information, please contact Meriden Grange President Robert Charbonneau at (203) 237-4617, via e-mail at info@meridengrange.org, or visit http://www.MeridenGrange.org.